Now you can ask your piano to play itself! 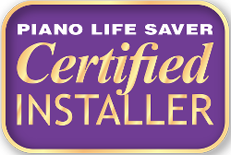 We are Certified Technicians, Suppliers and Installers for QRS Music & PianoDisc Player Piano Systems. ​This technology can be added to almost any piano! Now you can program and run your piano from your phone, tablet or computer! The player piano has gone digital and it's a great thing! Having friends come by for cocktails or Sunday brunch? Select a program of light jazz favorites or your favorite playlist of your music. Another hard day at work? Maybe some pure piano music of Bach or Chopin played by world famous artists is your ticket to relaxation. Or simply imagine your favorite artists - Billy Joel, Frank Sinatra, Adele - playing on your piano, singing along with full band or orchestra behind them. Technology can help you learning to play the piano, compose music and share it all with teachers, students and whomever you'd like. The Silent Practice feature is great for practicing without disturbing family, roommates or neighbors. You can play with the full feel and expression of the piano while listening through headphones. 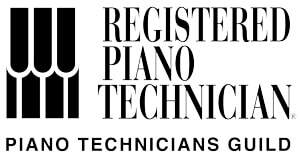 We offer new systems from two leading digital player piano systems for you to choose from. ​Systems can be installed in most piano types. 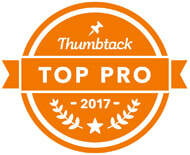 We also offer service and upgrades of older versions of digital or electronic systems.